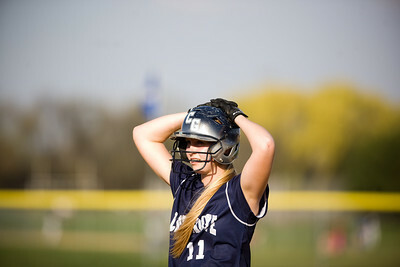 Jenny Kane - jkane@shawmedia.com Tues. March 20, 2012, The Cary-Grove's Lisa Semro waits for the pitch while on first base during their game against James B. Conant High School. 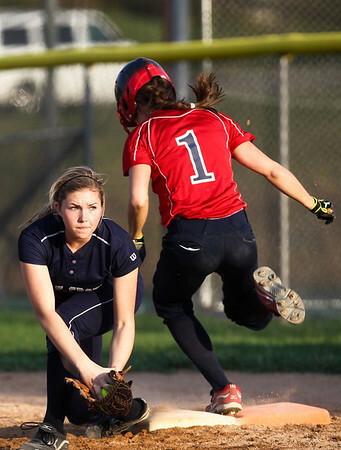 Jenny Kane - jkane@shawmedia.com Tues. March 20, 2012, The Cary-Grove first basemen Megan Leineberg tags Conant's Allie Bauch out at first during the top of the fifth inning. 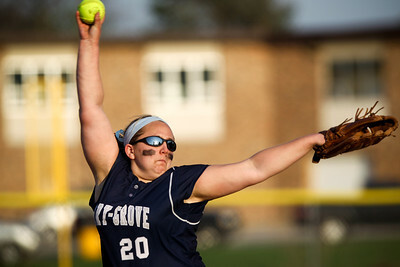 Cary-Grove defeated the Conant's 5-2 at Cary-Grove. 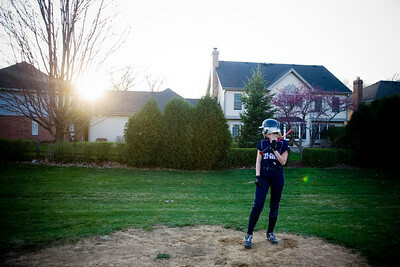 Jenny Kane - jkane@shawmedia.com Tues. March 20, 2012, The Cary-Grove's Sarah Kendeigh practices her swing prior to going into on deck during their game against James B. Conant High School. 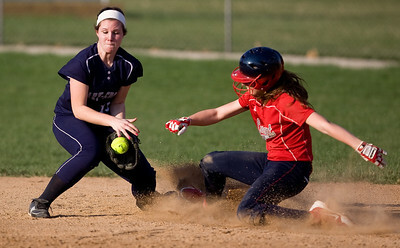 Jenny Kane - jkane@shawmedia.com Tues. March 20, 2012, The Cary-Grove's short stop Jamie Deering tries to make the tag out as Elisa Ambrose slides safely into second during their game at Cary-Grove. 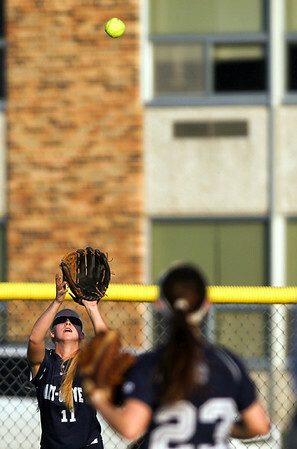 Jenny Kane - jkane@shawmedia.com Tues. March 20, 2012, The Cary-Grove's Lisa Semro catches a pop-fly during their game against James B. Conant High School. Jenny Kane - jkane@shawmedia.com Tues. March 20, 2012, The Cary-Grove's Lindsay Efflandt pitches during their game against James B. Conant High School. Jenny Kane - jkane@shawmedia.com Tues. March 20, 2012, The Cary-Grove's Megan Leineberg waits for the pitch during their game against James B. Conant High School. 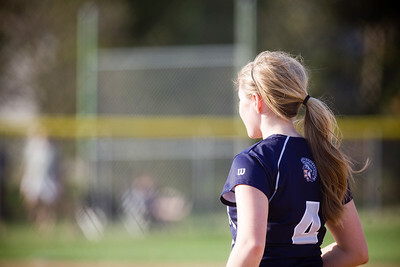 Jenny Kane - jkane@shawmedia.com Tues. March 20, 2012, The Cary-Grove Sara Markelonis waits for the pitch while guarding third base during their game against James B. Conant High School. 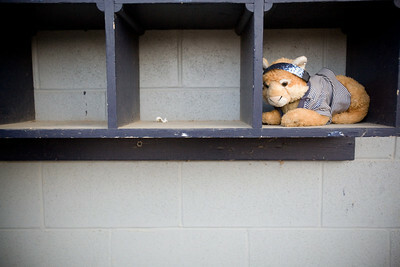 Jenny Kane - jkane@shawmedia.com Tues. March 20, 2012, A stuffed animal rests in a helmet cubby of James B. Conant High School's dugout during their game against Cary-Grove at Cary-Grove. 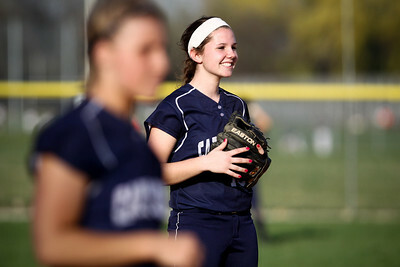 Jenny Kane - jkane@shawmedia.com Tues. March 20, 2012, The Cary-Grove short stop Jamie Deering smiles while waiting for the the pitch during their game against James B. Conant High School. 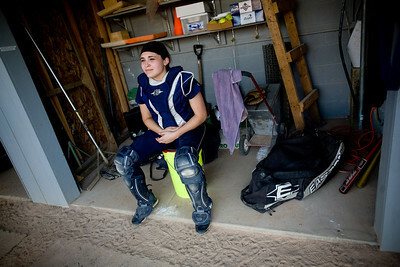 Jenny Kane - jkane@shawmedia.com Tues. March 20, 2012, The Cary-Grove's Sarah Leudo waits in the dugout as her team steps up to bat during their game against James B. Conant High School. Jenny Kane - jkane@shawmedia.com Tues. March 20, 2012, The Cary-Grove Sara Markelonis leads off first base during their game against James B. Conant High School. Cary-Grove defeated Conant 5-2. 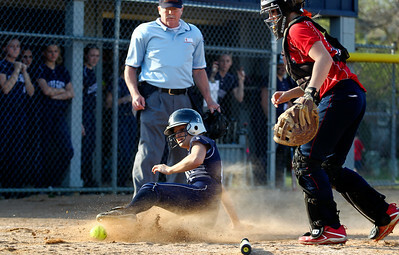 Jenny Kane - jkane@shawmedia.com Tues. March 20, 2012, The Cary-Grove Sara Markelonis slides safely into home during their game against James B. Conant High School. 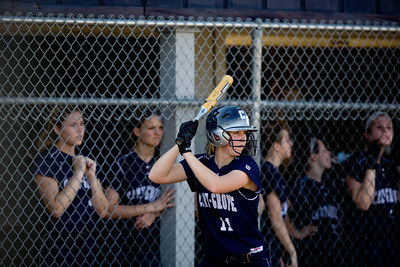 Jenny Kane - jkane@shawmedia.com Tues. March 20, 2012, The Cary-Grove's Lisa Semro practices her swing while on deck during their game against James B. Conant High School. Cary-Grove defeated Conant 5-2. Jenny Kane - jkane@shawmedia.com Tues. March 20, 2012, The Cary-Grove's Ellen Celske practices her swing before stepping on deck during their game against James B. Conant High School. 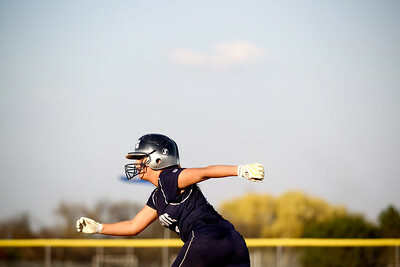 Tues. March 20, 2012, The Cary-Grove Sara Markelonis leads off first base during their game against James B. Conant High School. Cary-Grove defeated Conant 5-2.